Tips to find alternatives for common food allergens. When catering for guests with allergies, it's important to know what are some of the foods most likely to contain an allergen. Here's a list of the most common allergens, the types of food you can find them in and some tips on finding alternatives. Peanuts, almonds, walnuts, pecans, hazelnuts, Brazil nuts, cashews, pistachios, pine nuts, macadamia nuts and chestnuts are all tree nuts. These are commonly found in sauces, desserts, crackers, bread, ice cream, marzipan, ground almonds, nut oil, peanut flour and peanut butter. Nut oil can often be replaced with vegetable oil. If not possible, always highlight on your menu that you're using nuts in your kitchen. Commonly found in yoghurt, cream, cheese, butter, milk powders and foods glazed with milk. If a recipe allows, swap cow's milk with water or soy milk. For sweet recipes, try using fruit juice as guests with milk allergies may also suffer from soy allergies. These are your regular shrimps, prawns, crabs, lobsters, crayfish and even shrimp paste. When required, you can always replace shellfish with something like smoked fish that has a similar, briny flavour. Usually found in tofu, bean curd, soy flour, textured soy protein, ice cream, sauces, desserts, vegetarian products and even meat. Instead of soybeans, try using rice flour or canola oils instead. Typically found in cakes, mousses, sauces, pasta, quiche, some meat products, mayonnaise and foods brushed with egg. For baking, try using mashed bananas to replace eggs. For savoury dishes, crumbled tofu works quite well too. 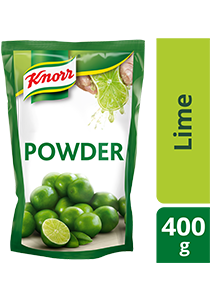 Commonly found in foods containing flour like bread, pasta, cakes, pastry, meat products, sauces, soup, batter, stock cubes, breadcrumbs and foods dusted with flour. When serving diners with a wheat allergy, try using rice flour, buckwheat flour, corn flour or maize flour instead. Lactose intolerance occurs in individuals who lack the enzyme lactase, which is needed to digest the sugar lactose (found in milk). Common symptoms are diarrhoea, wind and general discomfort. Soy milk, rice milk, dairy free cheeses such as soy cheese, soy yoghurt (note: soy is also an allergen). Cow’s, Sheep, Goat’s (mammals’) milk, some cheeses, dairy desserts, ice cream, butter, cheese and yoghurt. Gluten intolerance is caused by the body's inability to break down gluten - a protein in wheat. Rice flour, buckwheat, cornflour, maize flour, flours from nuts/beans/seeds, chickpeas, quinoa, and soya. Gluten-containing flours like wheat, barley rye, oat, malt and couscous. 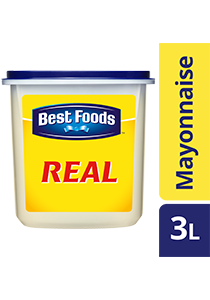 Best Foods Real Mayonnaise is your favourite mayonnaise which brings a balanced taste, smooth texture and quality consistency. It’s made from fresh pasteurised egg, vinegar and soya bean oil. Ideal as a sauce base for your dressing, salad binding, spread or dipping sauce. Best Foods Real Mayonnaise, bring out the best.